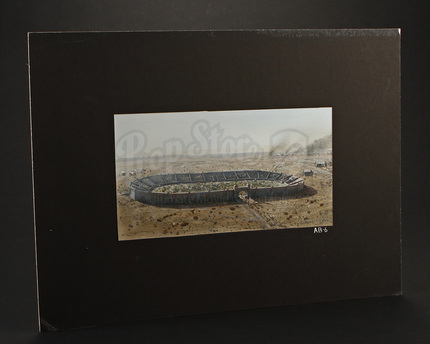 A Stadium Concept Painting by renowned art director Mike Pangrazio for Steven Spielberg’s 1987 World War II Drama, Empire of the Sun. 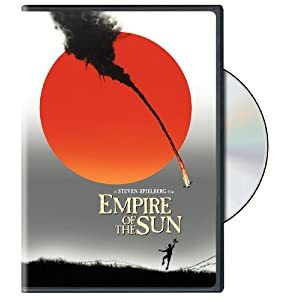 In the film, the young Jim Graham (Christian Bale) struggles to survive in a Japanese internment camp. 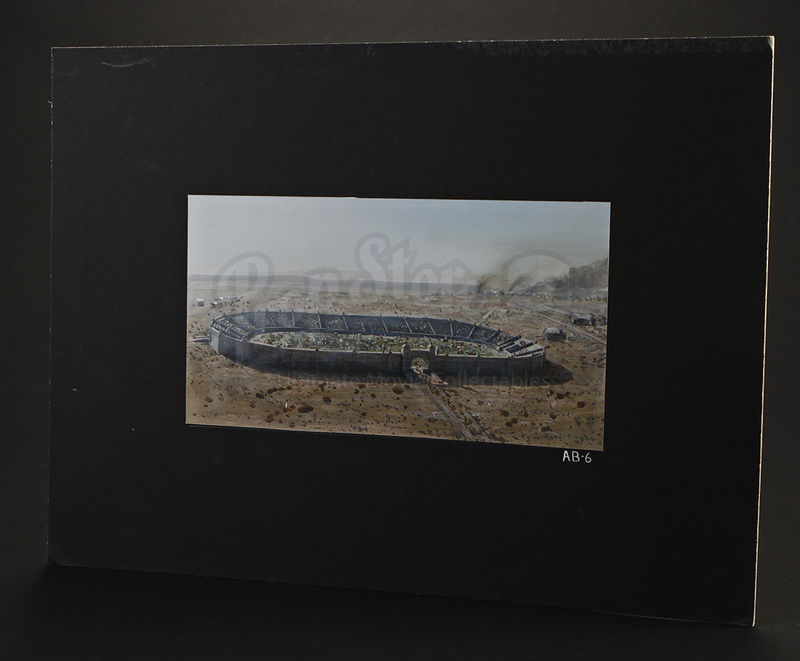 The stadium depicted in the Concept Painting is featured in a sequence towards the end of the film in which Jim sneaks away from his fellow ex-prisoners to go back to Soochow Creek Internment Camp. 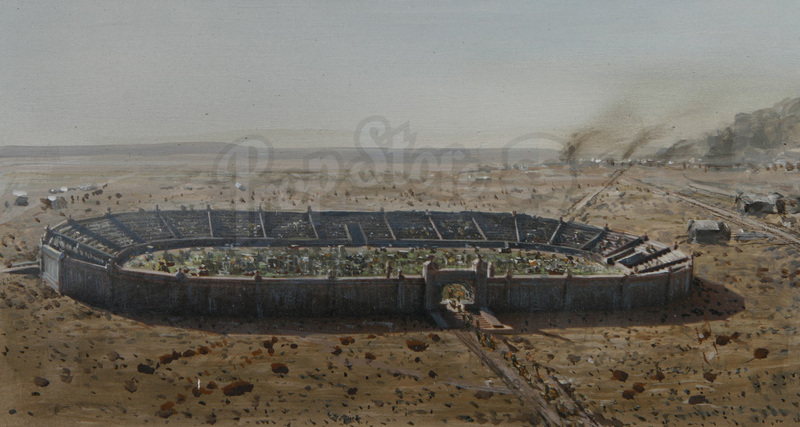 A 9” x 5” acrylic painting of a wide establishing shot with several ex-prisoners entering a stadium. Mounted against matte black on a 15” x 11” poster board and is signed on the back in pencil by Mike Pangrazio. Mike is best known for his matte painting of the government warehouse at the end of Raiders of the Lost Ark. 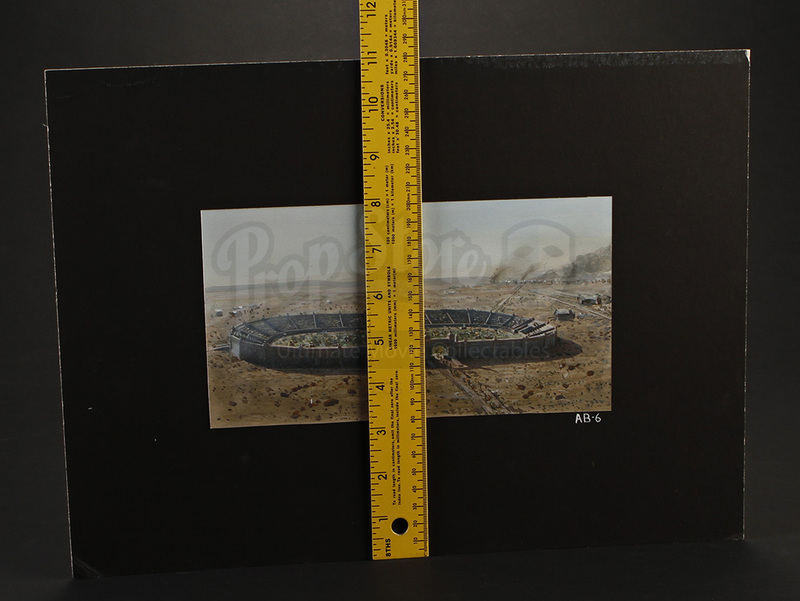 The piece features some production and storage wear including dents and abrasions around the edges of the poster board, but is in overall good condition.